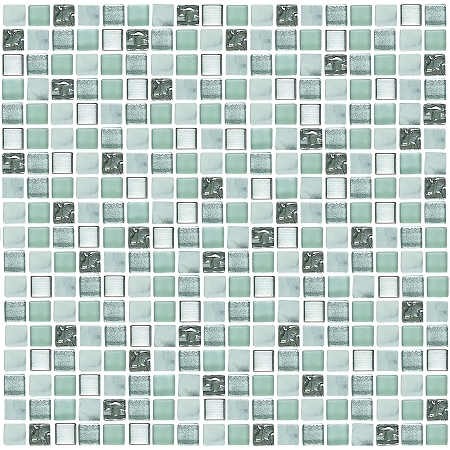 GS5009: Glass & Stone Mosaic is a combination of smaller stone and glass square tiles in predominantly sea green color. 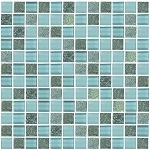 There are also some tiles in slate gray and pale green with some marbling effect for additional texture. GS5009: Glass & Stone Mosaic is very easy to clean due to its glossy finish, with just minimal wiping to keep it in top condition. It is also a decorative tile that helps increase friction in areas of high traffic. 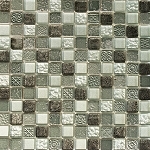 GS5009: Glass & Stone Mosaic is best used for bathroom walls and floors although it can also be used in patios and kitchens.